Rogz Academy Books and Beyond and Sophakama Primary School recently received a huge donation of 760 English and isiXhosa books from Book Dash. 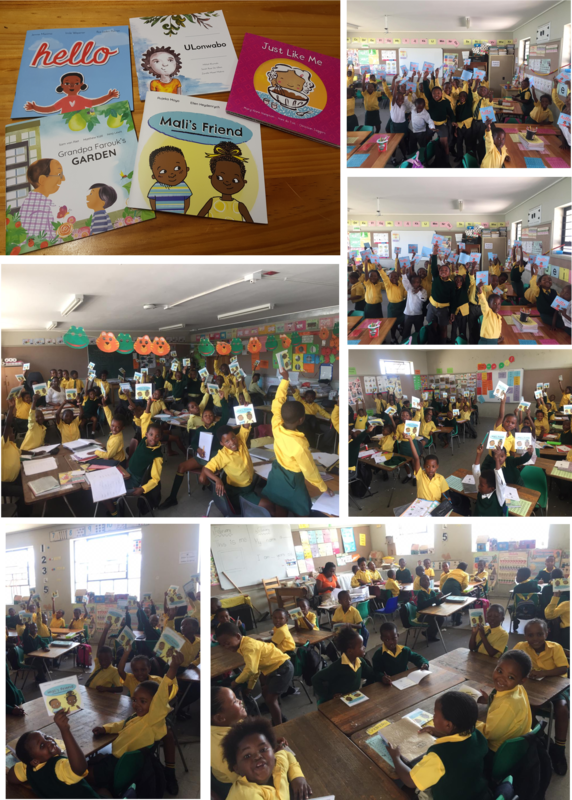 We were able to hand each of our 746 Foundation Phase learners (Grades R–3) a book of their own and keep a few over for the school library, classroom resources, and our English Literacy Programme. Book Dash’s vision is for every child to own a hundred books by the age of five. Their request was that we give these books to the children that we work with, to take home and enjoy with friends and family. There was certainly a lot of excitement in the hands and hearts of the children when the books were distributed this week! ← Friday fun for Year Beyond learners!